But this story that I’m telling today isn’t about being a mom, or my childbirth experience. It’s just to share with you part of what drives my photography journey. I got my first DSLR camera just before my husband, Rob’s, first deployment. He wanted a GoPro to take with him on deployment and he knew how long I had wanted a DSLR, and so he felt better about buying himself the camera he wanted by buying me something he knew I wanted. (Good husband.) For the next 2 and a half years, I probably took a million nice pictures with my camera on auto. DSLR cameras are capable of so much, but there is a lot more to them than the technology they use. As someone once told me, you are smarter than your camera. To get creative with photography, to really create the photos that you envision, there is a huge learning curve. And for a long time, I told myself that I just wasn’t technical, that the exposure triangle was geometry and I’m not a math person, that really learning to use my camera to its full capabilities was out of my reach. The truth is, that I just needed to start. That you learn a little at a time. That you aren’t going to go from shooting on auto one day to knowing how to shoot incredibly artistic photos and knowing how to use editing software to enhance them the next. It also took the right person explaining the exposure triangle to me in the right words in order for me to grasp the concept. I had paid someone to teach me how to use my camera probably over a year before I had Noah, but it was explained in a way that I just didn't grasp and when I went home to practice, I just couldn’t get it. And so, learning my camera was put on hold out of frustration. But when I had Noah, I was determined for that to change, for multiple reasons. First, I wanted to be able to take better pictures of my child every day. I’ve always valued professional photography, and even before kids, I made sure Rob and I had family photos done about every year or so. But babies, children grow quickly. You are fortunate if you can afford milestone photos of your baby every three months during their first year. But no one is hiring a photographer to follow your child around daily or weekly, and I wanted to hold onto those everyday moments. My second reason, which at the time was really just a very small inkling in the back of my head, was that I wasn’t sure that I wanted to work full time now that we had started our family. I was on maternity leave and had every intention of going back to my government job, but I also had this feeling of dread when I thought about leaving Noah. Somewhere in the back of my head, I started to think about the possibility of starting a photography business. Of course, I had no idea how much work would go into running a business, outside of just taking photos, but the idea was there. And so I knew that, for all of my reasons, I needed to learn to use my camera. Meeting Stacey of CuteE’s Photography in Virginia Beach was an absolute blessing. I truly feel that God put her in my path. I had lined up a different photographer for my maternity photos, and for some reason, that particular photographer stopped responding to my messages. And so I started my search over, and I very fortunately found Stacey. After Noah’s newborn session, I asked Stacey a question. I asked her if I could pay her for a 3 month session, but instead of having her take the photos, if she would walk me through using my camera and taking his 3 month photos myself. She said absolutely! I was paying her for her time and not only would she walk me through taking his pictures that day, that I could come over to her house one day after that, and she would walk me through some basic editing and her workflow. To this day, Stacey has remained someone that I feel like I can turn to with both photography and business questions. She has become both a friend and mentor. Noah is 3 now, so this was not quite three years ago. It’s hard to grasp that. 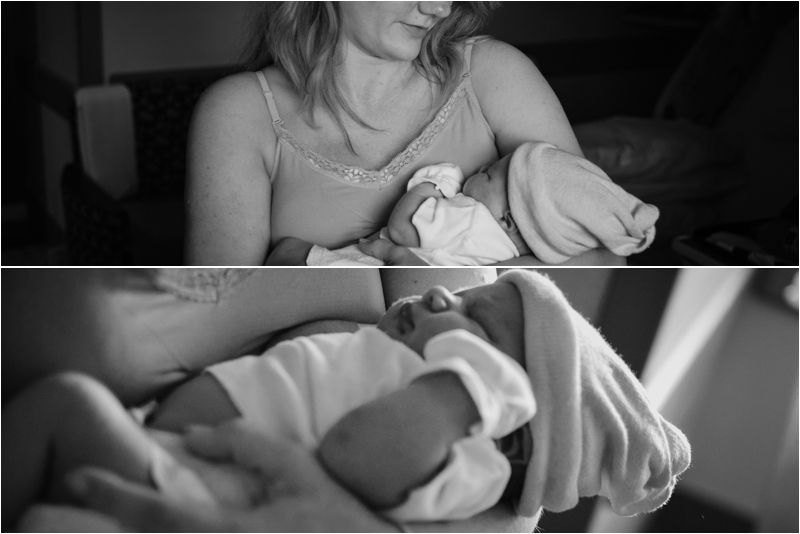 Part of me feels like I just started the journey into motherhood yesterday, and then there’s a part of me that feels like I started my photography journey forever ago. I always want to be further along than I am and I frequently have to remind myself that this IS a journey. I’m learning every single day. I’m learning as a parent, and I’m learning how to push my photography. We just celebrated Noah’s 3rd Birthday in Strasburg, PA at a Day Out with Thomas! As for the business side, I’ve addressed this in a previous post, but I feel like what I can give to other families is to freeze a moment in time, a moment when their little one is still so little, to capture the love and the laughter that light the darker days. So I do this in hopes to serve other families with my talent and photography education. And to be completely honest, I do it, in part, to fund my love of photography. I want to continue to educate myself, to grow my craft, and the business helps me to afford that. I have Noah to thank for giving me that final push to finally start my photography journey. I have Stacey to thank for giving me the building blocks to get me started, and being a mentor to me along the way. I have God to thank for giving me both of them.